I take tremendous pride in my profession as a Realtor. It is an enormous responsibility to guide people as they make significant decisions that will change their lives; buying their first home, selling the home that they have lived in for many years, or simply taking on new ventures. This is a responsibility I never take lightly. People are counting on me to help them make decisions about what may be the most important transaction of their lives. All home buying and selling present challenges and difficulties. I understand how overwhelming the whole process can be, so I assure my clients that I will be personally involved in every single aspect of their real estate transactions. I want to make sure that my clients feel completely confident that they are in the best hands and that I will be beside them as they negotiate through the real estate process. I am truly committed to my clients. 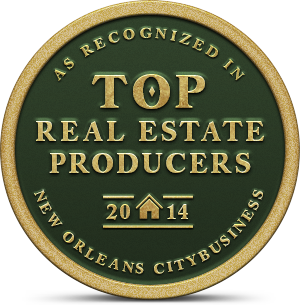 It is a privilege to help them to be successful throughout their entire home buying or selling experience. My extensive background in sales, insistence on paying attention to every detail, 10+ years of local real estate experience, and in-depth, valuable, local market knowledge, all make me extremely well-prepared to be of the highest service and benefit to my clients’ individual real estate needs. Unmatched customer service and the highest client satisfaction are the driving forces that have led me to my personal and professional success as a Multi-Million Dollar TOP PRODUCER, consistently earning multiple TOP AWARDS in my profession.